We came, we climbed (amid some struggles!) and we conquered! 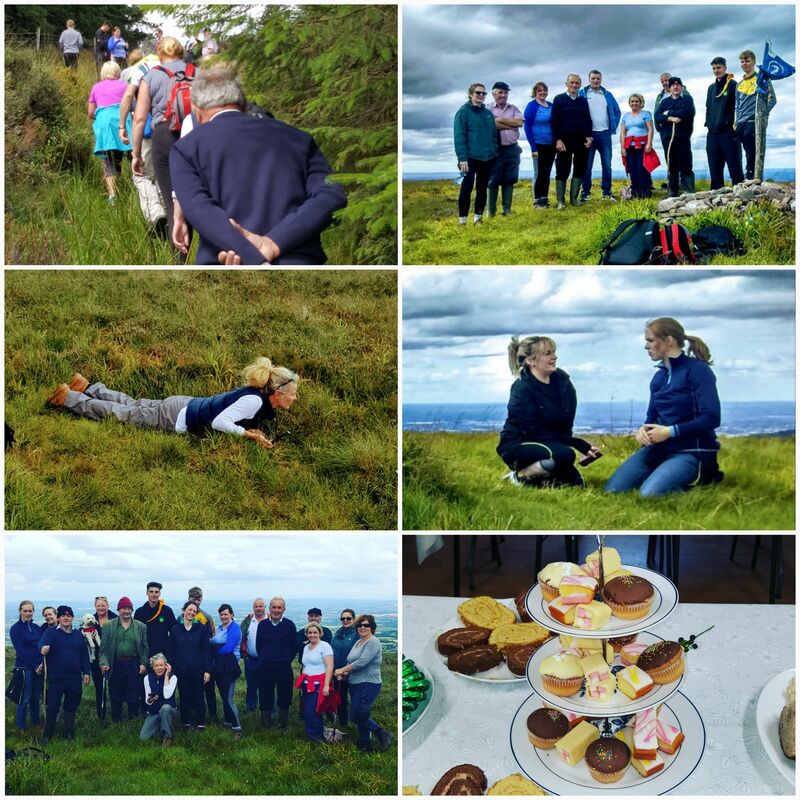 Yesterday a strong turnout scaled the rugged slopes of Ard Éireann, the highest mountain peak in the Slieve Blooms. For many, the ascent was one of excitement and a journey to the unknown. Upon reaching the top, most took the opportunity to take in the breathtaking scenery and to simply reflect and explore on the tranquil mountain. New found passions were discovered and friendships were formed! Renowned local legend Mick Dowling captivated our attention when he enlightened us on all things history. And to top it all off, our final journey of the day led us to the idyllic Lacca Church for succulent refreshments which most certainly went down a treat! We want to say a huge thanks to everyone who participated and to Lacca Church who were ever so kind to offer us the use of their facilities. Hi Anne, good to hear from you! I am from Rosenallis myself along with some of our members, including our Chairman. Hope you enjoyed the festival of the mountain and we very much look forward to seeing you at one of our event’s soon Anne.